justClickprint Online Print Publishing & Graphics Shopping Center - » Duffle Bags var admin_url = "http://www.justclickprintonline.com/wp-admin/"
Custom duffle bags available in various sizes and brands. 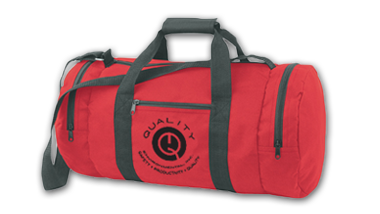 Custom duffle bags are ready for the gym or weekend trips and are a great corporate giveaway for your next company event or tradeshow. Ideal for trade shows, health and medical services, insurance companies and contractors.